Thanks for your interest in getting in contact. Please read this first so you can contact us in the best way possible. Due to the large number of emails we get, it’s impossible to reply to everyone asking for personal advice. If you have a question about your specific situation and want specific advice, your best bet is to ask for help here. This will give you the best chance of getting a response from myself or others. If you have a general question about the music industry, check out our search bar in the sidebar. Type your query and see if we have any guides on the subject. 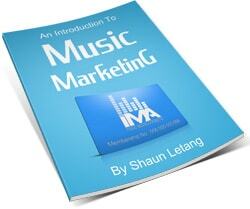 Our music industry FAQ may also be able to help you. If you need help with your membership (Either free or paid), you can contact us via the below form. Please note though, any music sent to us won’t be listened to. There are other sites out there for showcasing your music, this isn’t one of them. Thank you.